Browsing articles tagged with " little rock"
Compton, California (February 9, 2015) 4 Wheel Parts, the global leader in off-road performance product sales and installation, continues its North American expansion by opening its most recent retail location in Little Rock, Arkansas. The store becomes the 67th retail location for Transamerican Auto Parts (TAP). As a corporation dedicated to serving the Jeep and truck enthusiast, TAP recognizes the importance of establishing itself in new markets. Transamerican Auto Parts is additonally the parent company of Transamerican Manufacturing Group (TMG) which includes Smittybilt, Pro Comp USA, LRG Rims, G2 Axle & Gear, Rubicon Express Suspension and Trail Master Suspension, along with its latest acquisition, Poison Spyder Customs. The 12,000 sq.ft. store, located at 5620 Warden Road in North Little Rock, is the region’s only off-road performance center, and features an interactive showroom, a four wheel alignment rack and multiple service bays. Along with expert advice and product selection, the store features services such as installation, routine vehicle maintenance and diagnostics, and tire mounting and balancing, all conducted by ASE-certified mechanics. Customers will also benefit from Transamerican’s National distribution and warehouse network, which will allow the majority of products to be delivered to the store in just one day. 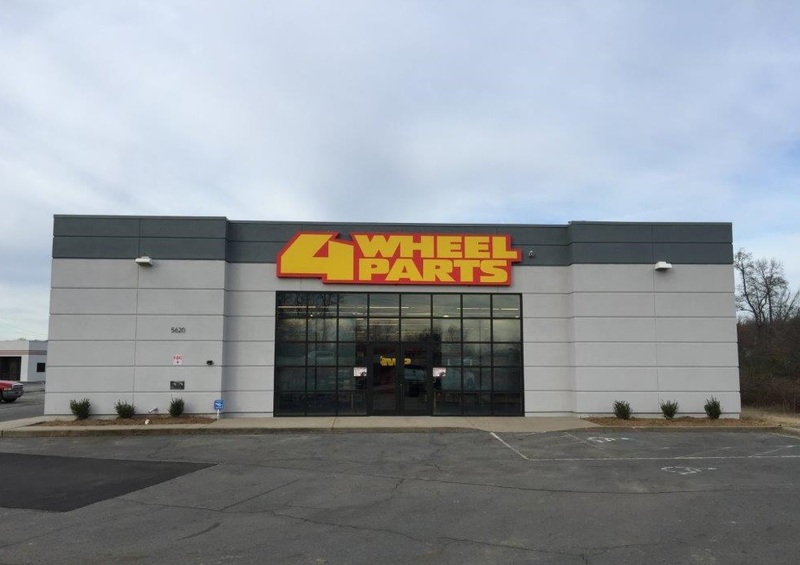 Having recently opened six Canadian locations, 4 Wheel Parts projects the addition of multiple new locations in the United States this year. While focused on opening new stores in new markets, the company is also in the process of a major remodel project for all of its existing locations. This project, expected to be complete by 2017, will bring 4 Wheel Parts customers across North America the innovations found in the newest showrooms.